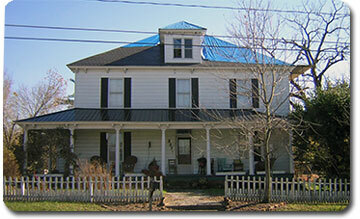 Johnston County Public Adjuster NC - Property Damage claims paid now! Johnston County property damage happens in all sorts of different ways and your Johnston County Public Adjuster should know them all. The one we always hear about is hurricanes. Historically, North Carolina is a landfall spot for Atlantic hurricanes. As we saw with Hurricane Irene in 2011, claims with hurricane damage can get complex pretty quickly and often involve flooding and wind damage – and have an affect on Johnston County homes and property. Realistically though there are a lot of other things that happen in the Johnston County NC area that can damage your home. Frequently, North Carolina damage claims can be the result of a single event such as straight-line winds, a nasty line of thunderstorms with heavy lightning – particularly in the summer, or maybe water damage from a washing machine gone crazy. Regardless of your specific NC property damage, know that our Johnston County Public Adjusters have handled all of them. The insurance company sends out their own claims adjuster. That claims adjuster is paid by the insurance company to represent their best interests in what should generally be an honest and fair process. But what if there’s a gray area? Or something that’s NOT so clearly defined? The loyalty is to the person handing you the paycheck. When there is a large event, such as a hurricane or large flood, insurance adjusters can get overloaded with large numbers of cases and can very possibly just miss damages to your property. It’s possible that a few big ones can be left out too. At the end of the settlement, those missed items can add up to you receiving a whole lot less than you expect. And when it comes time to either repair or rebuild your property, what ARE you going to do? Our local Johnston County Public Claims Adjusters work to make sure that we find all your property damage and make sure that it’s properly listed in the homeowner’s property damage insurance claim. What you need is someone on YOUR side to find and document your losses completely and thoroughly. When property damage losses are documented properly and thoroughly, and in the format your insurer wants to see, your insurance company is far more likely to pay out that claim as submitted. And that’s what American Property Loss’ local Johnston County Public Adjusters do for you. Johnston County property damage claim denied? We take on a number of property damage claims after the initial property damage claim is denied by the insurance company. And we GET THE CLAIM approved a SOLID majority of the time in your favor. This can be really crucial when it’s time to get your life back to normal. We provide proper thorough documentation that is exactly what is needed to get those claims through. That is what American Property Loss’ local Raleigh Public Adjusters can do for you. A licensed Johnston County Public Adjuster can maximize your property damage claim. Don’t confuse the role of a NC Public Adjuster though. Our goal is NOT to “stick it to the insurance company.” Some claims can get a little touchy between your NC Public Adjuster and your insurance company. 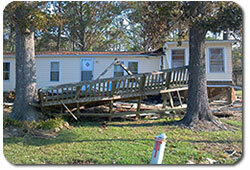 Our Johnston County Public Adjusters are simply focused on getting you the true value of your property damage claim. We do this by documenting your NC property damage claim thoroughly and then simply getting the full benefit of the homeowners insurance policy paid to you. While that sounds easy enough, it can take a serious and knowledgeable professional at times to do the behind-the-scenes work. Following are some causes of local Johnston County homeowners insurance claims and where American Property Loss local Johnston County Public Adjuster NC services can help you!